Work’s been a bit of a drag lately, probably because it’s feels like forever since I’ve been on an adventure, (but I’m 12 days to NYC and 36 to HK!). To try to get myself out of my funk, I decided that I should spoil myself with a fantastic lunch. It didn’t take much convincing to get my lunch partner on board, and we easily decided that the place to indulge would be Kingyo. Kingyo is my favorite izakaya in Vancouver. In fact, it may rank as my favorite restaurant in Vancouver and it’s definitely the one I recommend the most. Kingyo’s been open for lunch for almost a year and I’ve been down a few times to have donburi, (things on rice) or their Japanese curry. A few days ago, I saw a photo come across my facebook that convinced me there and then that I had to return for lunch. 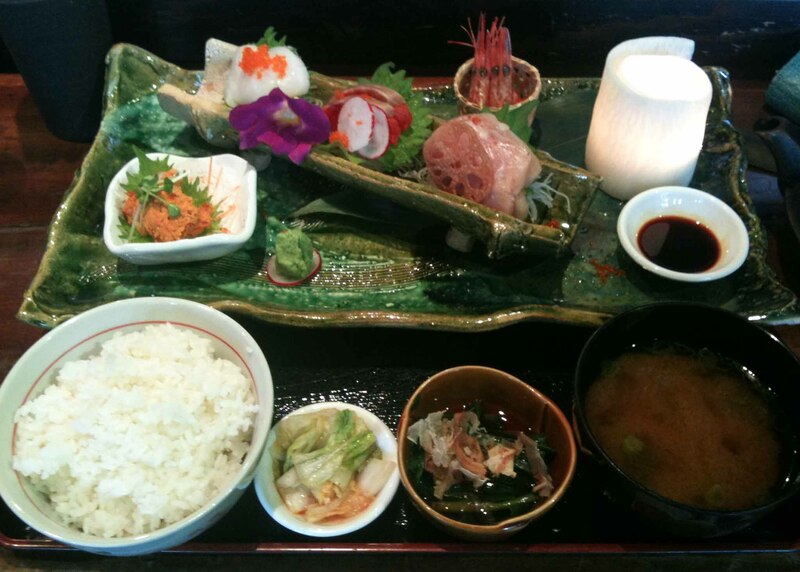 5 kind of daily sashimi, rice, miso soup, daily appetizer and pickles. I saw the photo above last Sunday and I couldn’t get it out of my head. I knew it’d be an indulgent meal, so we waited for hump day to splurge. Of course, true to my lunch partner’s philosophy; if you’re going to indulge, you may as well go all in. So in addition to the Sashimi bento, we also ordered some other favourites as well. 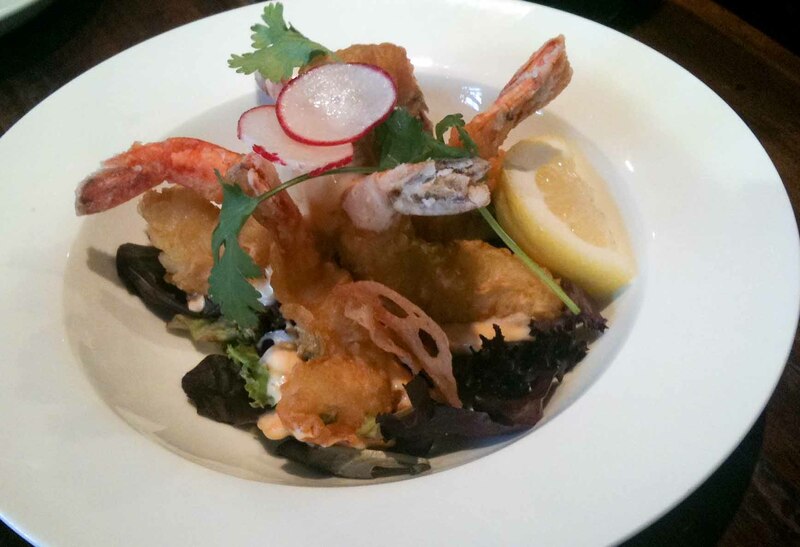 Ebi Mayo – crispy and delicious when it’s served hot although I’d prefer a little bit less chili mayo. 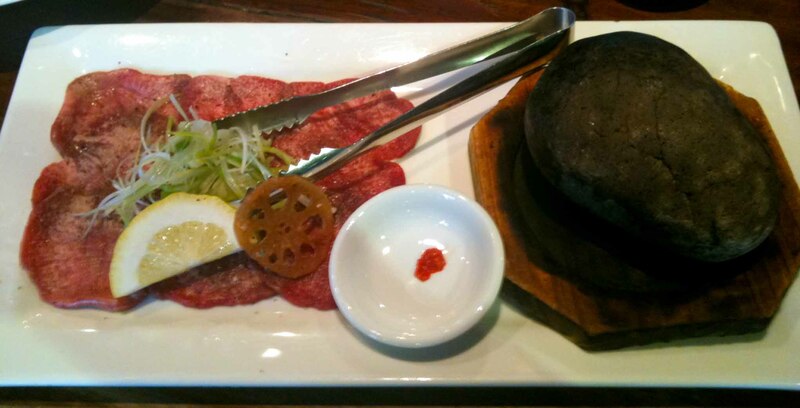 Gyu-tan (beef tongue) sliced thinly and then slightly seared over the hot rock it’s served with. A squeeze of lemon, a dab of chili paste is all you need. Sashimi bento – at $16 it’s an expensive lunch, but the quality and variety of the ingredients made it worth the splurge. Served with miso shiru, Japanese pickles, chive(?) oshitashi and a big bowl of rice, this is a big lunch. 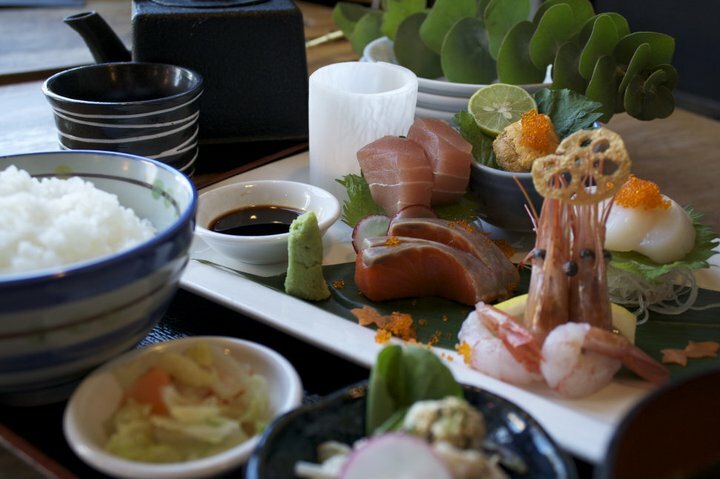 Quick to point out that none of the sashimi is from Japan, in fact most was quite local. 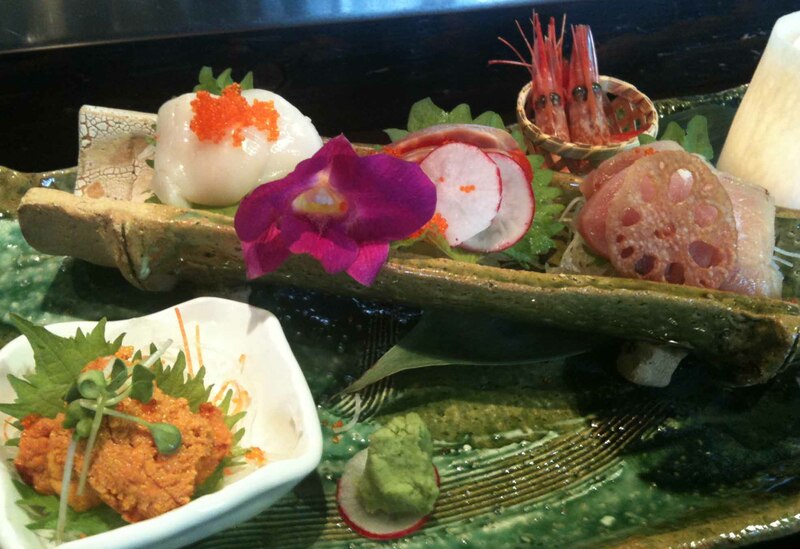 BC scallops, salmon, spot prawns and uni, Alaska Salmon and Hawaiian tuna. This lunch was way more food than I needed and made for an afternoon at work filled with the sleepies. The sashimi was so amazing that it made any lingering discomfort worth it. Now that’s what I call a weekday lunch!